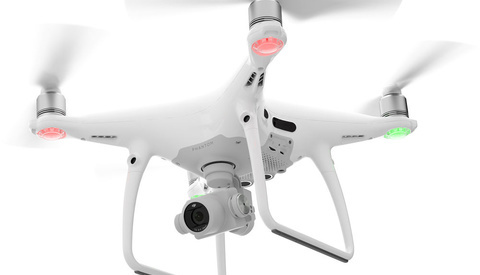 On September 21 of last year, a DJI Phantom 4 collided with a US Army Black Hawk helicopter operating under VFR in Class G airspace at about 300 ft. msl. The drone was unsurprisingly destroyed in the collision, while the helicopter suffered damage on a rotor blade, as can be seen below. 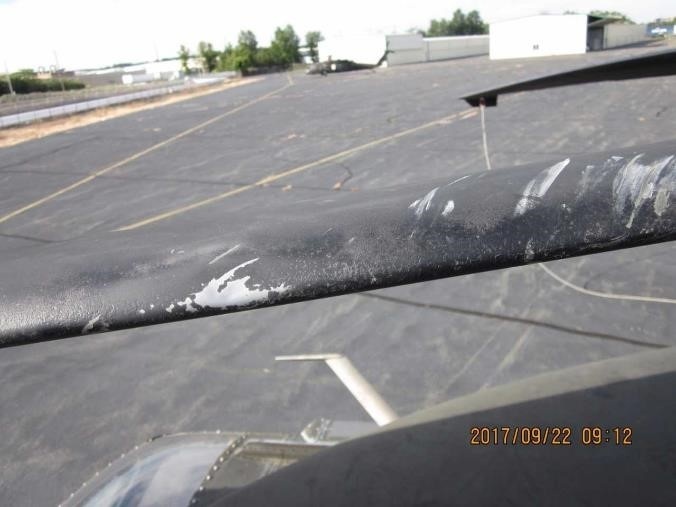 The worst damage was a 1.5-inch dent in the leading edge of one of the rotor blade, as well as cracks in the fairing and some window frames. 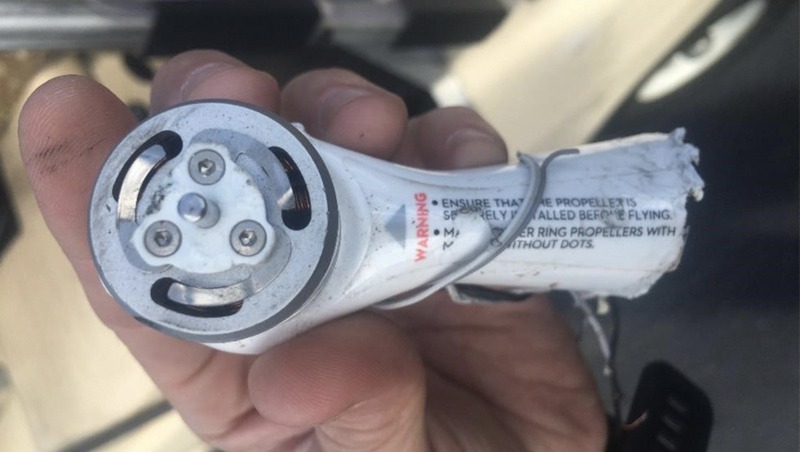 The impact caused several pieces of the drone to lodge in the helicopter, thereby allowing the NTSB to track down the owner via the serial number on the parts. 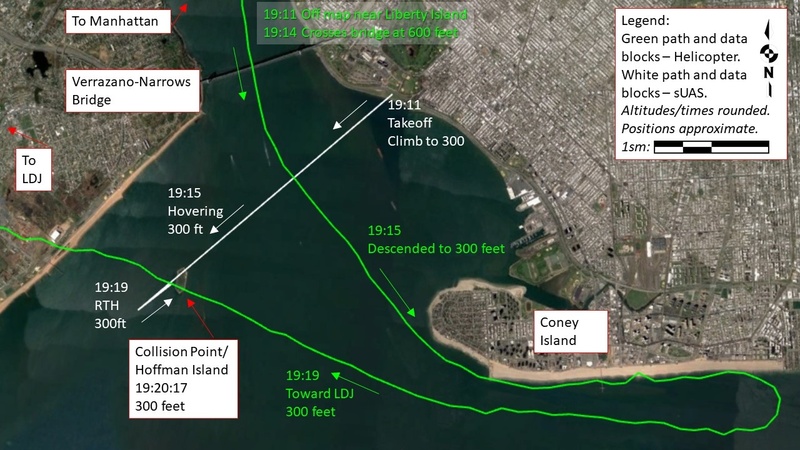 The pilot was unaware of the incident until contacted by the NTSB, having assumed the aircraft had simply failed to return to him automatically and crashed in the water. The pilot, a hobbyist without a Part 107 certification, stated that he understood the regulations regarding the 400-foot ceiling for drones and line of sight requirement, but downloaded flight logs showed he had flown as high as 547 ft. earlier that day and up to 2.5 miles away (the collision took place at about 300 ft. and 2 miles from the takeoff point). In an interview with the NTSB, he stated that he understood the frequency of helicopters in the area but was not concerned with flying beyond line of sight, relying on telemetry and video relayed from the drone, leading the NTSB report to characterize him as having only a "cursory awareness of regulations and good operating practices." At the time, a TFR (Temporary Flight Restriction) was in place for the relevant area, for which the helicopter was authorized to fly in, while the drone was not. The drone pilot indicated that he relied on the DJI Go app for dissemination of such information, but this feature was not active at the time since his tablet was not connected to the Internet. The NTSB also further noted that the feature is "intended for advisory use only," with final responsibility for compliance resting with the drone pilot. 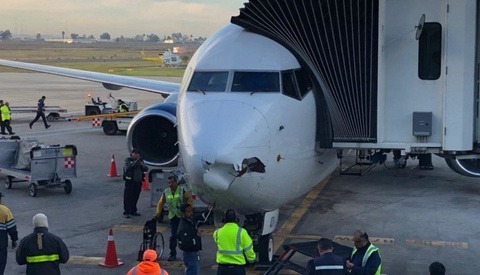 The collision occurred just before the end of civil twilight, with the pilot indicating that he was likely unaware of regulations and practices for operating at such a time. the failure of the sUAS pilot to see and avoid the helicopter due to his intentional flight beyond visual line of sight. Contributing to the incident was the sUAS pilot's incomplete knowledge of the regulations and safe operating practices. Of course, while I'm tremendously thankful that no one was hurt in the incident above anything else, it's upsetting a serious incident between a drone and manned aircraft has now been confirmed and was caused by negligent flying. Hopefully, we won't see another accident like this. It's not clear if the FAA intends to proceed with penalties against the pilot. You can read the full report here. All images courtesy of NTSB and in public domain. Drone Versus Black Hawk Helicopter: Hit or Miss? "Black Hawk down! I say again, "Black Hawk down!"". Hopefully we won't see another incident like this? 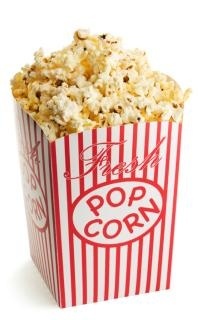 C'mon... You know we will. In fact, I'd wager that situations with drones will simply end up mirroring mass shootings in the US... "This is the worst mass shooting in history.... Until the next worst mass shooting". What a douche bag! All helicopters has to fly 500ft above ground's highest building ex: if there is a building 1000ft they have to fly 1500ft and up BUT they dont have to follow that rule when they are on water. This is why part 107 is so important. "... just before the end of civil twilight, with the pilot indicating that he was likely unaware of regulations and practices for operating at such a time." - Lol what restrictions? Don't see any on the FAA website. "RC night flying requires a lighting system providing the pilot with a clear view of the model’s attitude and orientation at all times. Hand-held illumination systems are inadequate for night flying operations." Interpret that how you will. The FAA basically tied their own hands with the Part 107 regulations and the way they're prohibited from modifying hobbyist rules, but there's also the general umbrella of "endangering the national airspace." Unfortunately, I believe that these things will keep on happening because of irresponsible journalism. 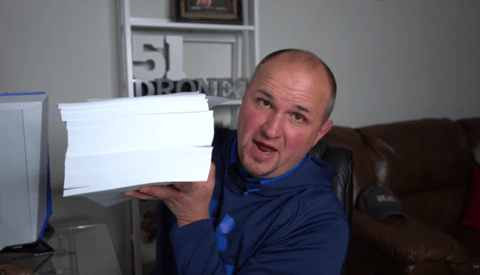 Sort of reminds me of the December 19 post that nobody from F Stoppers wanted to comment on (Did the drone user violated the laws or not... probably violated the laws since all the pictures came from his Instagram feed). One day we can thank all these idiots for all the new draconian drone laws. "Unfortunately, I believe that these things will keep on happening because of irresponsible journalism." You believe that hobbyists breaking all the rules and drones crashing into manned aircraft is caused by journalistic reporting of the event AFTER THE FACT?!? Some people are just too stupid to operate an untethered toy.